When it finally came, it was one of those summers you didn’t want to end. The days were of the sort that reminded me of childhood; the sun felt strong and the days were so long it seemed the moon would never show itself. It felt as close to normal summer weather as we can get these days; it wasn’t over the top hot and almost daily, the wind blew strong, bringing with it psyched people who came to share the same obsession as myself. For the observer, it wasn’t hard to tell from the crowded parking lots and a quick glance up the Stawamus Chief, that climbing happened daily and lasted long into the evenings. Suppers were made and enjoyed in groups exhausted from the day out. They woke early, only to reconvene and start again. 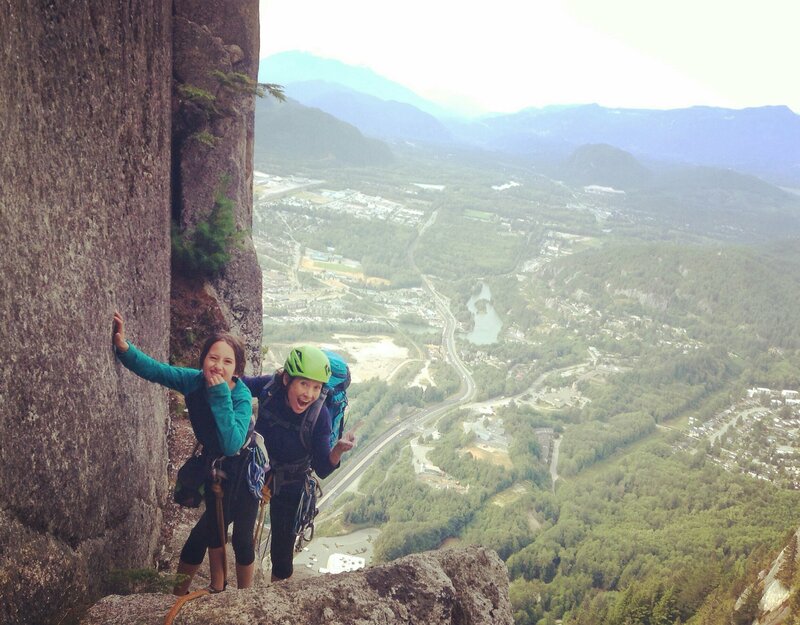 It was the typical summer in Squamish but for myself, it was one not experienced for some years. 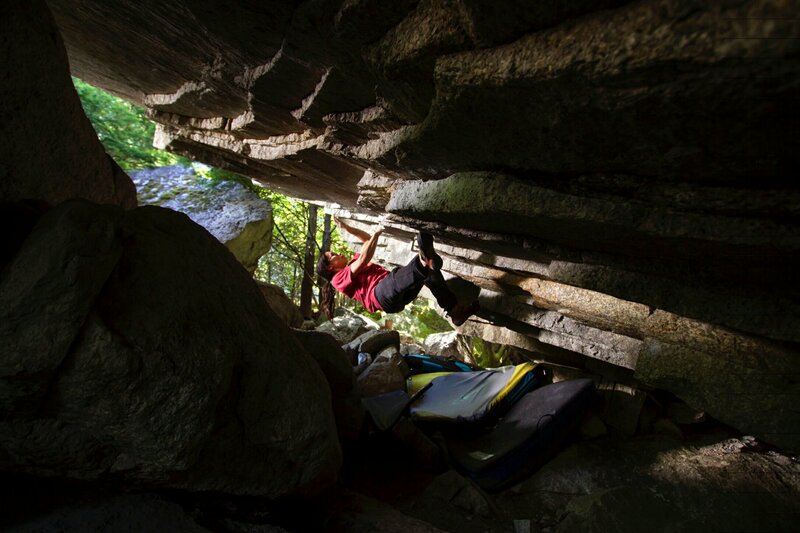 Last summer, I took a mandatory hiatus from climbing to rehab my mangled shoulder, and the few summer's prior, I was in Europe; obsessing over training and competition in quite an unhealthy manner (hence the shoulder…). While the injury helped me see that ‘situation’ clearer, the time off renewed my love for climbing into a sort of relationship not experienced for some years. One of my favourite things about summer in Squamish is not the influx of typical tourists with their minature dogs, but what I call, the American Invasion. Like pieces of confetti, the climbing community is scattered. This annual ‘invasion’ can easily be termed a family reunion that also brings fresh psych to a life lived in Squamish that can sometimes be mundane. My personal crew live in various parts of the world so seeing each other involves a trip on either my part or theirs. This years invasion was blessed with the presence of Sundev and Kat from SLC, followed by the normal returns of Texans, Ema, Lara and Gus who as far as i know, remain in the Grand Wall parking lot as we speak. The Wilder family of Matt, Sandy and Bayes arrived shortly after. Days were spent with locals I rarely got to see despite living in the same town. Charlie Barrett tempted us with his presence, while many a stay I unfortuntely missed. Climbing was going better than anticipated proving my rehab was paying off. I was listening to the fine line of how much i could or could not do; a balance that changed with each passing week. Listening required self control which has never been my fortay but not wanting injuries to confine me forever, it was mandatory. My climbing days involved a healthy mix of bouldering milage, easy routes and one day a week of harder projecting. Though sometimes frustrating to be falling on things once sent, listening to my body seemed to be working. My fitness and strength were slowly and steadily improving. Van life is much more pleasant in the summer months. The warmth brings an ease and simplicity that reminds me why I live the way I do. At night, our normally quite zones were surrounded by an increasing number of vans turned mini home showing I wasn't alone with this appreciation.Despite enjoying the company among strangers, trying to find a parking space among the masses made part of me felt like a visitor in my own town. 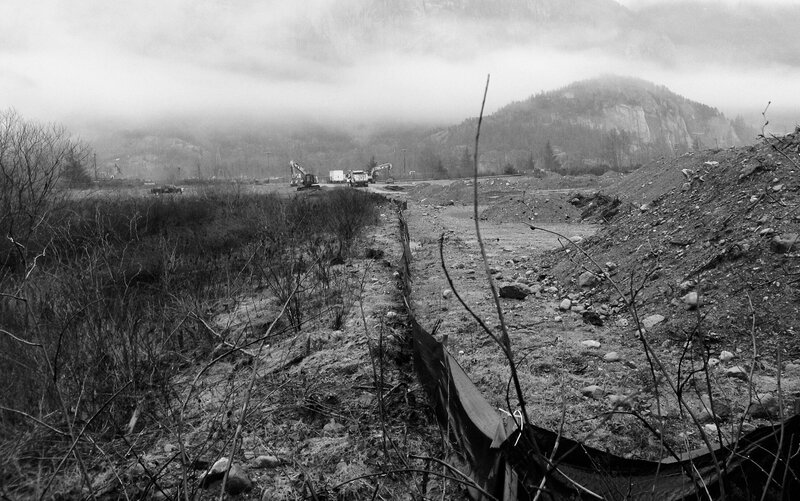 Along with the increased traffic, there was the rhythmic thudding of pile drivers echoing loudly, reminding me of the massive developments underway that were giving Squamish a gentrified facelift. As life would have it, I received an email informing me that I must move my European van. This meant leaving the summer that I didn’t want to end among other things. Though my return to Europe was inevitably, making a trip just for a van was ludicrous. It had to be gratified with some climbing yet I didn't want to go back until I was completely healed and strong again. I had undone projects which demanded all of me, not half. I was torn between leaving Squamish when some of my favorite people were around, while ditching the van meant making others bear my responsibilities. Though not ideal timing, it was decided. We had to go. Eventually, we managed a couple of tickets and left just as the smoke from the wildfires arrived. 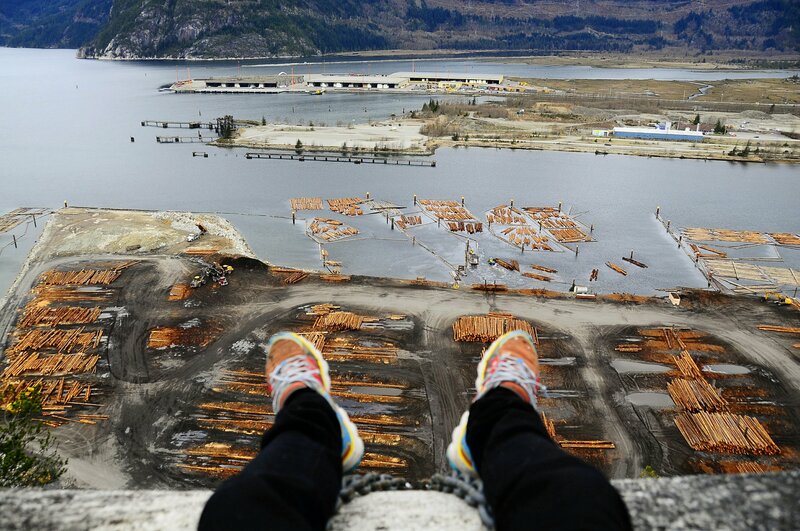 It was hard to leave when Squamish was reminding me why I love it, but Europe was a decent runner up. Having not even left, I already looked forward to our return. It would either entail perfect fall conditions, or be wet and dark as hell. Driving away, I looked nostalogically at the smoky coastline and wished for its protection and our safe return.